Watch us play at Mills Elementary School ! The Oak Hill Drum Studio was created in 2005 to offer Drumset and Percussion Education to Austin area residents. David Mendoza serves as our director and senior instructor. Utilizing his college and work experience, he created a technology driven classroom devoted entirely to music. Our drum studio is equipped with pro-quality Drumsets, Internet/WiFi access, audio/video recording capabilities, HD video monitors, PA sound system, and a fun and professional environment. Mr. Mendoza was introduced to music with piano lessons at the age of eight. At age twelve he migrated to drums, taking private lessons at a downtown music store. He continued his music training with high school orchestra and Jazz band in college while working his way through school playing with many of the semi-pro bands in South Texas. After college he signed on with Las Vegas show group "Coco Grove" for an extensive five year tour of the nation's finest resorts and hotels and focused on a career as a professional drummer. Eventually David returned to Texas to work with 60's recording artists "The Diamonds", famous for hit records such as "Oh Little Darling" and "The Stroll". Armed with a degree in Applied Science, Mr. Mendoza landed in Austin where he worked at Compaq Computer and later Hewlett-Packard, all while continuing to play music nights and weekends. His teaching qualifications include duties as Percussion Instructor, Dacbert Music Co. (San Antonio), Drumset Instructor, Institute of the Arts (Austin), Senior Instructor, Oak Hill Drum Studio (Austin), and over 40 years of Drumset performance. 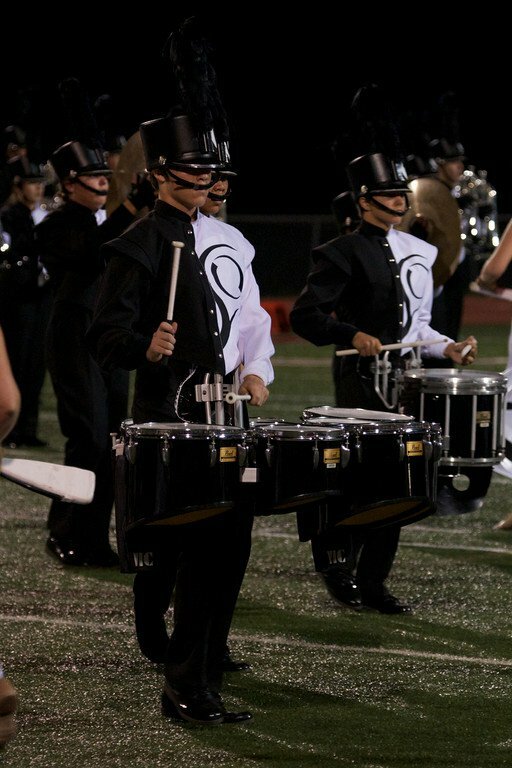 He is a member of the Texas Music Educators Association, Percussive Arts Society, and holds educational endorsements with Vic Firth Drumsticks and Sabian Cymbals. 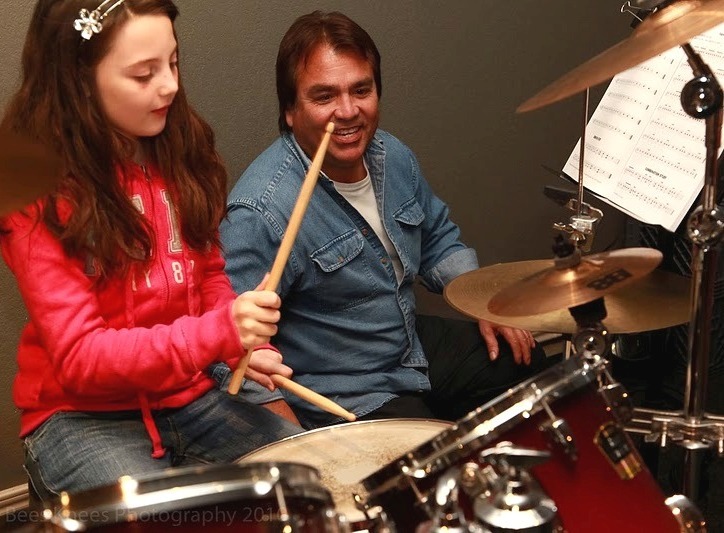 Lessons at the Oak Hill Drum Studio blend formal drum instruction with music technology, modern teaching concepts, fun, and today's most innovative educational materials. We teach reading music notation as well as playing by ear to music our students like and want to play. Take a free introductory lesson and see why The Oak Hill Drum Studio is the leader in educating and motivating Austin's next generation of drummers! Moody comes from a musical family and began playing drums at the age of ten. Moody's music training began at Clint Small Middle School where he was a percussionist in the school band. He was introduced to Jazz music at Clint Small and won the Drumset chair in the school's Jazz band when he entered in the 7th grade. Moody went on to audition for the James Bowie HS Outdoor Marching Ensemble as a percussionist. Now a senior, Moody enjoys traveling around the country with all of the Bowie Music Ensembles, playing Tenor Drums on the Bowie Drum Line, Drumset in the Bowie Jazz band and in in Bowie's symphonic concert band. In 2012 and 2013 Moody performed in New Orleans at the Essentially Ellington Jazz Competition with the Bowie's HS Jazz Band. In the 2013 New Orleans competition, the jazz band won first place and also awarded best rhythm section. Moody engages in all of the music opportunities offered at Bowie. In addition to school percussion, Moody teaches Drumset including Rock, Latin styles, Funk, Heavy Metal, double bass drum, and of course Jazz. Moody introduces his Jazz students to the major concepts and techniques of Jazz drumming he learned at school and the skills vital for passing school band tryouts. Moody, along with band mate Jacob Hume, present our studio's series of school band percussion workshops. Moody works well with ages six and up and is extremely popular with middle school and high school aged kids. Guthrie plays Guitar in the Bowie HS Jazz Band and has been selected to the AISD All City Jazz Band in 2011, 2012, and 2013. He is an integral performer in Bowie's nationally recognized music program and plays Euphonium in the Bowie Marching Ensemble in addition to Guitar in Jazz Band. Guthrie's musical abilities have taken him to the annual Temple College Jazz Festival where he won the festival's Outstanding Soloist Award (Guitar) in 2010 and 2011. 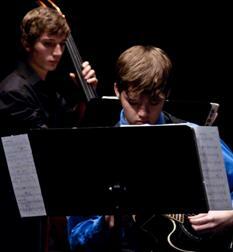 At Austin's AISD Jazz Festivals, Guthrie took home Outstanding Soloist Award the last four years. In 2012 and 2013 he performed in New Orleans at the Essentially Ellington Jazz Competition with the James Bowie HS Jazz Band. In the 2013 competition, the jazz band not only won first place but was awarded best rhythm section as well. Guthrie also plays bass guitar with his dad's band at venues around town. On Euphonium, Guthrie is Baritone section leader in Bowie's Marching Ensemble and has performed in the Bands of America National Finals in San Antonio, Atlanta, and Dallas, winning 1st place in Dallas and 2nd place in Atlanta. In 2012, Guthrie achieved "Top of the Class" honors in Music Theory at Bowie. Guthrie accepts guitar students as young as six years and connects well with older kids and teenagers. 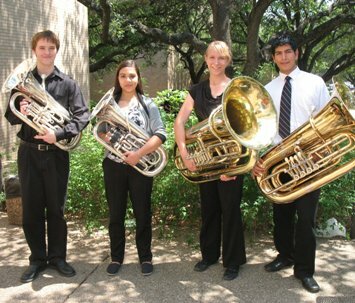 Euphonium lessons are available for middle and high school aged students. His lessons span Rock, Jazz, Classical, Marching Band and Orchestra.